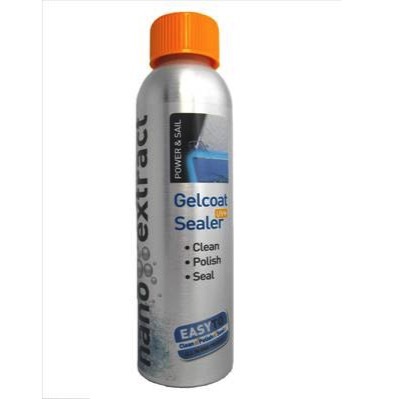 Feldten Marine Nano Extract Gelcoat Sealer is a cutting edge nano technological treatment of all gelcoat surfaces above the water line that effectively combines cleaning, polishing and sealing in the same working process. It is very easy to apply with no need for any additional treatments. Use on fiberglass, gelcoat and painted surfaces. Cleans, polishes and seals in the same working process. UV damaged and faded surfaces regain their original colour. My fiberglass boat is a 2001 model SR565 and definitely required a lot of TLC when I bought it. The gelcoat was badly faded and I had my doubts if it could be saved. I tried a few other products to no avail. I reads the review on the Feldten Nano Sealer and decided to give it a go. Well, I’m 60 odd years old and have seen all sorts of claims made by all sorts of people about all sorts of products that you become very selective about things you do. I had concerns that this was just another miracle product that was going to lighten my wallet and leave me disillusioned and cranky. I have a new best mate. This stuff brought my boat up like new. I’ve given it a second polish after using the boat twice. I don’t know how long the gloss will last but its been about 3 months.